When planning a trip to Hawaii, it is not unheard of to island hop. Tourists like to check out everything that the other islands have to offer, while choosing one location as home base. Oahu is one island that seems to have it all, no island hopping required. Sophistication mixed with adventure and breathtaking sunrises that turn into heart-pounding nights. Head to Oahu and experience everything you could ever possibly desire in one location. The things to do while on Oahu are almost limitless. Because it is home to the very chic and very metropolitan city of Honolulu, shopping and fine dinning are easily accessible here. But when traveling to Hawaii most want to spend time on the beach or in the surf. These options are also prominent in Oahu. Go surfing, kayaking, snorkeling, lounge on the beach, go for an excursion and explore the island or relax poolside, all options are available. Come to Oahu for a fun-filled vacation in Hawaii. 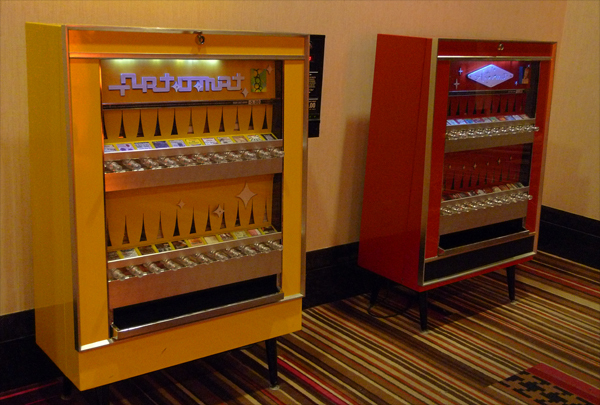 When selecting a hotel for your stay, WhatAHotel! 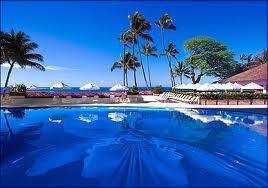 is proud to offer the Best Hotels in Honolulu. Our list of hotels and resorts is top-notch and offer additional perks and benefits when booking your stay with us. One hotel that will not disappoint is the beautiful Halekulani. It has been welcoming guests for almost 100 years. Halekulani has a reputation for gracious hospitality, amazing service and delightful dining options. It is also impressive that Halekulani has worked to remain faithful to the traditions of the past but also striving to keep up with the innovations of the future. This luxury resort shows off with award-winning restaurants and chefs to ensure you never go hungry and outstanding comfort in the glamorous rooms and suites. Guests will find unparalleled elegance everywhere they look. 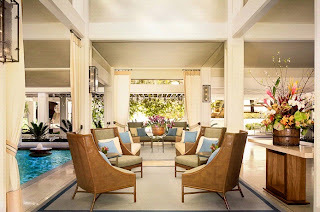 So if you want to stay in haute Honolulu and as well as in a lush and renowned resort, look no further than Halekulani. Hawaii is a dream vacation, many visitors come and never want to leave. This chain of islands boasts modern conveniences and facilities but also stays true to their charming past and traditional values. Coming to Oahu offers you the best of everything. 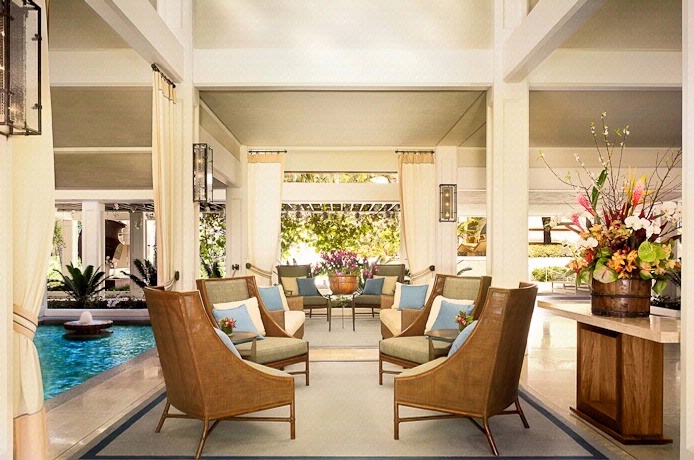 Check in and stay a while at the lovely Halekulani. The iconic Hotel del Coronado no doubt has a history. This year it celebrates its 125th birthday with a number of events. Built on the Coronado Peninsula across the bay from the great city of San Francisco, it was planned to be an amazing seaside hotel that would be the talk of the western United States. Opening its doors in the late 1800's (when it was thought of as novel to have electric lights in all of the rooms) the hotel showed off its charming grounds, pretty rooms and promised guests warm California temps. Throughout the years pictures of the hotel have captured the changes in decor and the famous and notable guests that have stayed here. 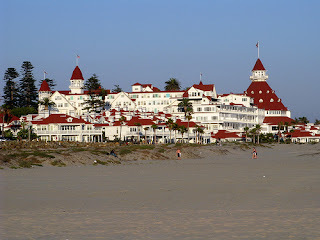 Take a peek at what was fabulous back in the day and is still enticing today at the idyllic Hotel del Coronado. 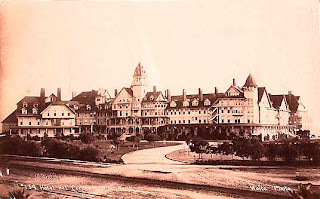 You can't talk about the Hotel del Coronado's past without looking at the famous guests that stayed here. Ester Williams, Frank Sinatra, Lucille Ball and Desi Arnaz, Charlie Chaplin, Charles Lindbergh and Marilyn Monroe were all photographed while staying here. Even more exciting was that Marilyn Monroe was here during the filming of the award-winning movie "Some Like It Hot" where the hotel is even seen in parts of the film. Maybe the most well-known guest wasn't actually famous at all. Kate Morgan checked in and five days later her body was found dead with a gunshot to the head. Although there is some controversy regarding the nature of her passing, there doesn't seem to be any disagreement that she never really left. Today her room is the most requested room and it is said that if you're lucky she might even pay you a visit. Maybe her reluctance to leave just proves that this hotel is really amazing. Today a trip here may not allow you to be involved in a movie production or have a celebrity sighting, but there are many other spectacular ways to exhaust your time. The dining options at Hotel del Coronado are a real dream come true. 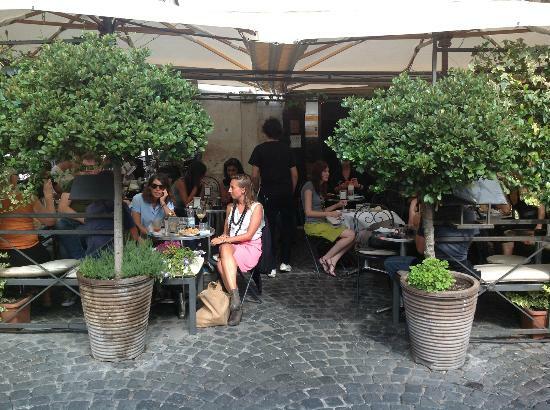 Eat in style at one of the restaurants or go casual and enjoy your meal in the warm sunshine. Sip wine at the wine bar or have brunch by the sea, there are so many ways to taste the phenomenal food at Hotel del Coronado. With prime beach location there is no doubt you can sit with your feet in the sand and watch the surf. The Hotel del Coronado also offers a salon, spa, shopping and many other activities so you will be sure to have limitless possibilities of how to spend your day. Let's not forget that because the hotel is celebrating 125 years of being open for business this year, you might just be able to enjoy some remarkable and once in a lifetime events during the 2013 year. Come to Coronado for an unforgettable vacation. 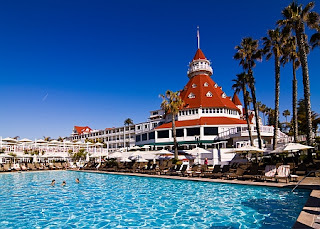 A quick look at the past and a perusal of the present will prove that you can guarantee any future stay at the Hotel del Coronado will be fantastic. With an impressive guest list that gets people talking, this red-roofed beauty exudes pure intrigue. 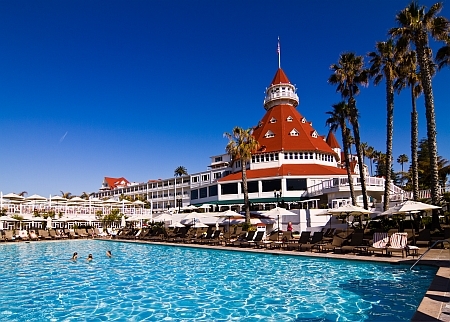 The past comes alive at the beautiful Hotel del Coronado. People love a good romance, especially when it is inspired by Hollywood. Sometimes the love story is real and sometimes it is simply fiction that people wish was real. Whatever the case, it seems to always capture peoples attention and create a rather large number of fans. Let's look at a few hot affairs of the heart that made some hotels happy to be in the center of it all. The Heathman Hotel in Portland Oregon has a number of impressive travel awards, and continually impresses guests with luxury and service. However recently this prestigious hotel has gotten some pretty great PR that has nothing to do with it's amazing amenities. The best selling trilogy "Fifty Shades of Grey" has captivated the adult novel market and quickly become a must read for many women. In this thrilling novel The Heathman Hotel makes a few appearances, 16 in total, that has caused a surge in reservations. This posh hotel has even taken the craze and added guest packages for people looking for a similar experience. If you are heading to the Portland area or happened to love the liaison between the book characters, Christian Grey and Anastasia Steele, check-in at The Heathman Hotel for a truly delightful stay. 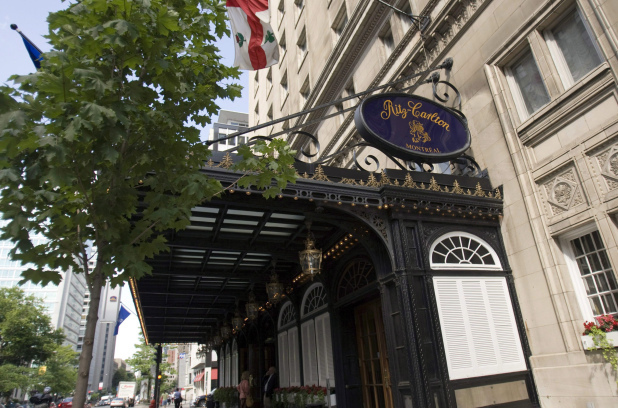 The next great hotel, the Ritz-Carlton Montreal, has a romantic past that is not based on fiction. This lush hotel was able to host the first wedding of Elizabeth Taylor and Richard Burton, back in 1964. Although they were only given 2 hours notice according to the hotel, the stunning establishment was able to pull everything together for a small but fabulous wedding. The couple chose the elaborate 12-room Royal Suite that is over 4,700 square feet in size for both the ceremony and their wedding night. This stunning suite is still amazing with its abundant original artwork and antiques that are used to furnish the room. A stay in the room would be very romantic, however if you require something a bit smaller in scale don't fret, the hotel has several other rooms and suites available. Our last love linked hotel is the beautiful Fairmont Banff Springs located in Canada. This very lucky hotel was visited on more then one occasion by the sultry Marilyn Monroe, however one visit was more memorable than the rest. 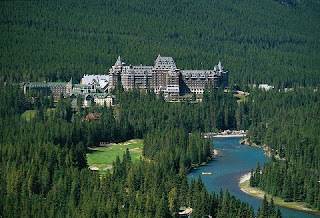 Back in August of 1953, Monroe stayed here while she was filming "The River of No Return". During her stay she was visited by her boyfriend at the time, ex-Yankee star Joe DiMaggio. Although DiMaggio was known to dislike the public media attention, he was actually caught on camera with Monroe for one of the few pictures of them together. Although their romance was short lived, there is no doubt that a beautiful movie star dating a famous baseball player garners attention not only then but also today. Stay at this stunning hotel where the phenomenal service, gorgeous decor and astonishing comforts might just make you fell like a superstar. Spring is here and love is in the air. If you are ready to head out to see a few places that have inspired passion in the past, we are ready to assist you. Stay at a place where you will discover intrigue and relish the beauty of your surroundings while at the same time receiving perks that are complimentary and exclusive to WhatAHotel! customers. Let WhatAHotel! help you find the perfect hotel to experience enchantment. If you are looking for a hotel experience where fabulous doesn't end when the sun sets, but only gets better as you head to bed, check out these three fabulous hotels. Known to have unbelievably great service, amazing amenities and regarded as spectacular in every way, these hotels have upped the ante by creating unique beds for rest and relaxation. You will be blown away with one look at these remarkable beds, so get ready to rest in style. 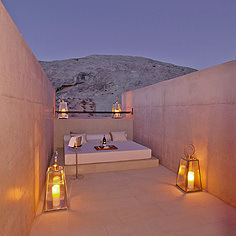 Amangiri in Canyon Point, Utah opened it's doors in 2009 on 600 acres in the middle of the Grand Canyon. This isolated resort has since received numerous awards in many different categories from Best Hotel, Best Spa as well as the Conde Nast Gold List. 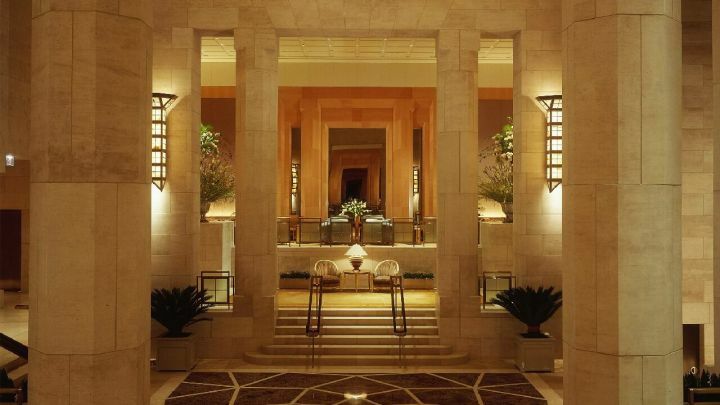 Guests are thrilled upon arrival to find extravagant accommodations and amenities in this ultra chic desert hotel, however there is one comfort that might just outshine the rest. The Mesa Pool Suites, 6 in total, feature private plunge pools as well as panoramic views of the breathtaking landscape. But each room also offers guests the Sky Terrace, a private outdoor bed that allows occupants of the room to lounge under the starry night sky. The Amangiri has prided itself on the creation of a resort that blends seamlessly with the surroundings as well as ensuring that guests are able to become one with the environment that encircles this amazing compound. There may not be another place on Earth where sleeping under the stars is quite this luxurious. If sleeping under the stars is a bit too "outdoorsy" for you, this next hotel might be perfect for you. The Mandarin Oriental, Bangkok is a decadent hotel filled with opulent decor and like all Mandarin Oriental Hotels all over the world, provides 21st century luxury with oriental charm. 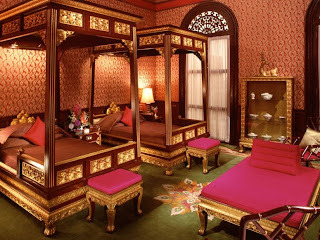 Book your stay in the Heritage Authors' Suite that is located in the original 1876 section of the hotel, and features gilded teak canopy beds with Thai silk sheets. These are a far cry from the standard double bed accommodations you find at most hotels, and where you can't help but feel like royalty sleeping in these grand beds. If you still haven't been hooked by the previous two beds, this next one is sure to impress. 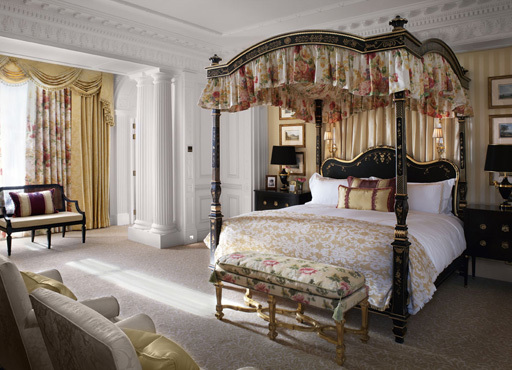 The Savoy in London is a true British icon. Open since 1889, The Savoy exudes elements of traditional English style and Art Deco glamour. 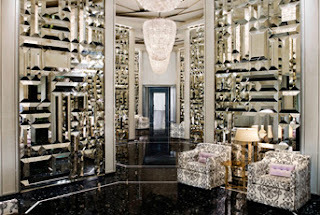 But along with the star-studded guest list, beautiful furnishings, delightful dining options and the ultimate location, The Savoy also has a suite that absolutely will excite. The hotel's Royal Suite is everything the name implies, grand and very extravagant. Taking up the entire fifth floor and boasting views of the river Thames, there is only one bed good enough for a suite this sweet. The $43,000 canopy bed takes more than 120 man hours to create and includes the cashmere, horse tail and lambs wool filled mattress wrapped in fine linens. With a bed this amazing, you are assured your rest will be superior. Stay here and wake up feeling like a million bucks, or at least $43,000. Who knew that selecting a double or king room could actually turn out to be so amazing. Let WhatAHotel! book your stay at any of these three amazing hotels, where a good night's sleep is taken very seriously. Leonardo da Vinci once said that "A well-spent day brings happy sleep", but in these hotels it might just be the opposite; a great night's sleep brings a very happy day. 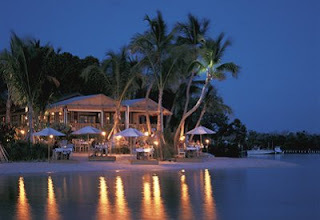 So plan a trip to one of these amazing hotels where there is no doubt you will rest best. A long long time ago, Julius Caesar walked the streets of Monti, a district in Rome that is situated next to the Forum and the Colosseum. Caesar, along with other politicians and gladiators rubbed elbows with the town's ladies of the night when Monti was the city's very own Red-Light district. Today this neighborhood is hot once again, but with sophisticated people, chic shops, traditional Italian bakeries and overflowing wine bars. 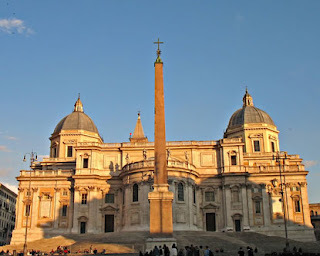 See what the new and improved Monti offers up to the visitors of the great city of Rome. When planning your trip to this trendy neighborhood, you will want to head to a few of the area's best landmarks. 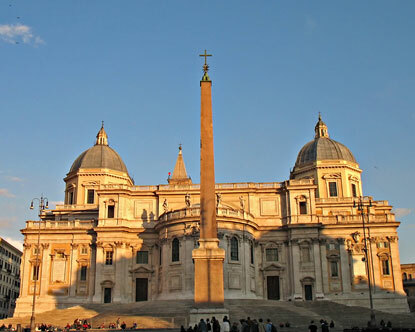 The stunning Basilica di Santa Maria Maggiore sparkles with a gold ceiling, 5th century mosaics and some impressive biblical wonders. Taste the Italian treat gelato at Gelateria Fatamorgana, a very creative storefront that offers all-natural treats in some traditional as well as rather adventurous flavors. Sit and people watch in the Piazza della Modonna dei Moni or dine al fresco at one the the delicious cafes that line the cobblestone streets. Shop for unique finds at any of the many boutiques or visit San Pietro in Vincoli where you can visit the tomb designed by Michelangelo for Pope Julies II and the very famous Moses statue. 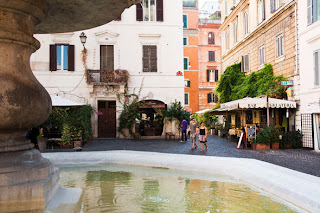 This area of Rome may have once been a bit seedy in nature, but today it shows off its glamour and charming personality to all that are lucky enough to walk through its spectacular streets. 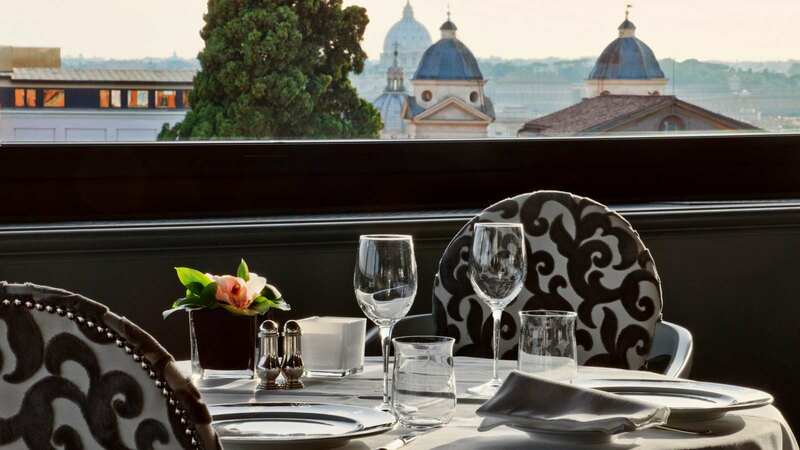 With so much history and cultural brilliance in Rome, you can rest assured that when you book your stay at any of the Best Hotels in Rome your surroundings will be fabulous. The Hotel Eden will enchant you with a prime location, luxury accommodations and impeccable service. Stay here and experience the magnificent views during your dinner on the rooftop terrace or relax your mind at the hotel's tantalizing spa. Guests will find every comfort required for a unforgettable stay at the beautiful Hotel Eden. 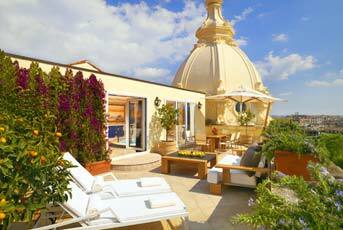 Another fine choice for your stay while in Rome is the elegant Westin Excelsior. Known to host celebrities, dignitaries and beloved artists, the Westin Excelsior easily impresses and has found its way onto the Conde Nast Gold List. You will not leave disappointed from the breathtaking Westin Excelsior unless you choose to not enjoy a treatment at the hotel spa or perhaps forget to satisfy your craving for an authentic mouth-watering Italian meal the the hotel restaurants. At the Westin Excelsior you will find only the best service and conveniences wrapped up with gorgeous decor and a fashionable location. 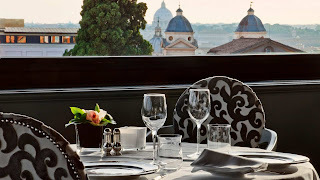 Stay at either of these top-notch hotels or at any of the Best Hotels in Rome where you will discover that WhatAHotel can present you with amazing options as well exclusive and complimentary perks and benefits. Stay in style in Rome with the help of WhatAHotel!. When planning your trip to Italy, Rome will easily impress. But while you take in the ruins that are scattered throughout the city, make sure you visit the once sleazy district of Monti. Today it has come back to challenge it's past, to create a future that will easily overshadow its once less than stellar reputation. 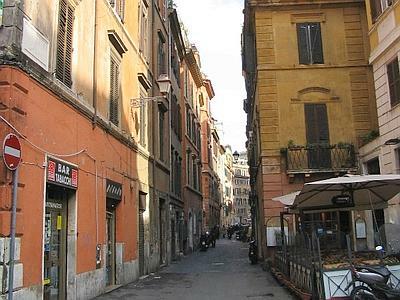 Visit Magnificent Monti and fall in love with a very real and very posh Italian neighborhood. Around the world there are places where the quiet calm and seemingly endless beauty is everywhere you look. Immaculately kept grounds, breathtaking botanicals and works of art that are created out of the natural surroundings are all characteristics of these grounds. If you have a love of horticulture, art or awe-inspiring creations, plan a visit to one of these amazing gardens and the cities that surround them. They may have been created decades ago, and in some cases centuries, however they continue to blossom and inspire visitors even today. Back in the 17th century, Louis XIV commissioned the creation of the still magnificent Chateau de Versailles, which is just a short drive from Paris, France. 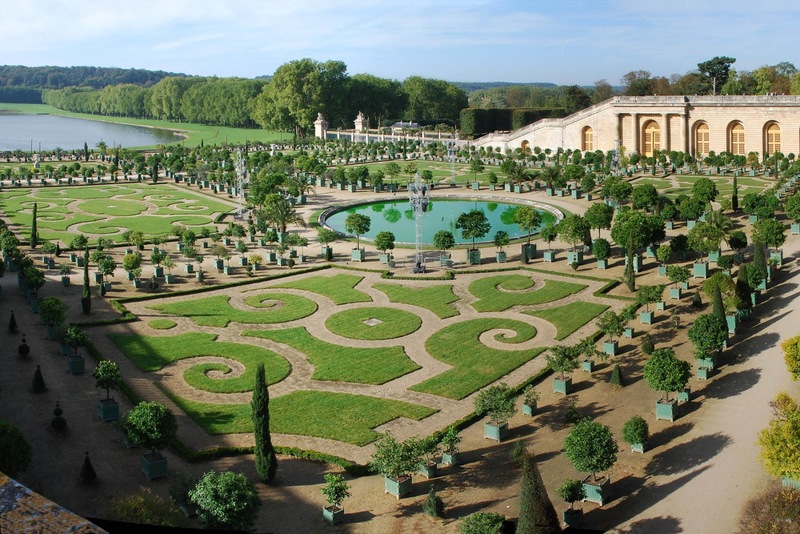 The palace of Versailles was already amazing, but famous French landscape designer Le Notre made it even more stunning by creating a 250 acre garden full of pathways, statues, lakes, flower beds and a canal that was used for gondola rides. 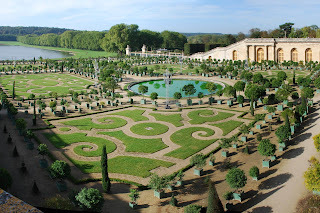 This garden helped to create a setting that made the palace memorable to all who set foot here. Still today people flock to this palace and garden to stroll through the picturesque grounds and relax in one of the quiet corners. Just south of Dublin sits a lovely little Irish town that is home to a rather large and grand garden. Designed in the 18th century and roughly 47 acres, this garden is called the Powerscourt Gardens and is located in County Wicklow, Ireland. Here guests will find formal walled gardens, waterfalls, shaped ponds, pavilions, urn planters, and much more. 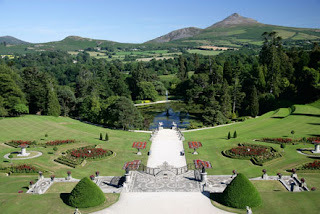 With the Wicklow Mountains as their backdrop, the entire garden and park area is captivating and continues to welcomes visitors from all over the world to admire its beauty. Butchart Gardens in Vancouver, British Columbia was not created all that long ago in comparison to the other gardens we've portrayed. This land was previously owned by Portland Cement and the company only stopped utilizing the land when the quarry was no longer useful. Around 1904 the owner of the cement company let his wife take up the task of starting a project to make the barren land into a sanctuary. 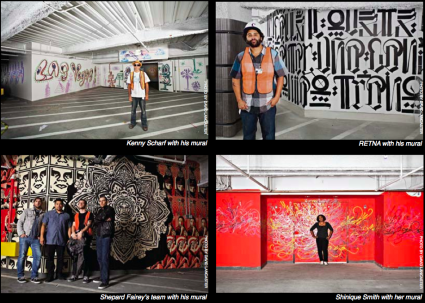 She wanted to revitalize the area, to reuse the land and create something beautiful. Today it is home to 55 acres of plants and blooms of over 700 varieties, that bloom from March to October. One look at this colorful park and it would be hard to believe it was once a desolate piece of property. 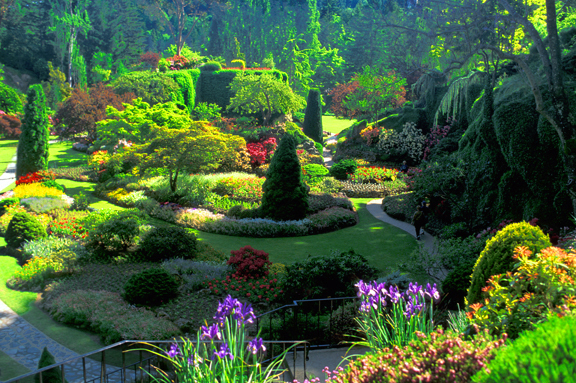 Today people flock to this garden to be immersed in a flowering masterpiece. 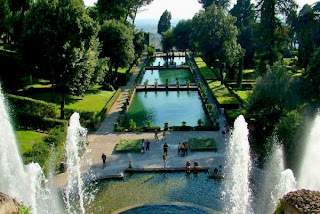 The Villa d'Este in Tivoli, Italy didn't start out as an Italian villa with a incredible garden, but was made into just that by a Renaissance cardinal that was living in what he considered a gloomy and deteriorating monastery. Desiring something remarkable, he created a charming villa with stunning grounds featuring a multitude of captivating fountains, towering trees and water filled pools. Located only 37 minutes from Rome, Tivoli is in a prime location for tourists to venture toward and enjoy the lovely garden. Today Villa d'Este is listed by UNESCO as one of 31 historical and/or artistic sites in Italy, so a visit here will definitely not disappoint. If you are traveling to any of these amazing destinations, take some time to visit the gorgeous gardens. There are many reasons gardens and parks like these draw crowds, the historical factor they have, the grand scale of them, the unfathomable artistry found here and maybe just the quiet calm that people find when walking around the grounds. Every person that tours these regal estates may come for different reasons, but most will leave feeling in awe of the beauty they observed. Let WhatAHotel! book your stay at any of the Best Hotels in the area and know that your stay will be filled with amazing amenities, fantastic service and exclusive perks and benefits. Let us help you find your Garden of Eden and discover the beauty in the world. Art is subjective. What one person views as inspirational, another person might remain unmoved. However, even if you may not find certain pieces to be personally significant, there should still be an appreciation for the time and the spirit that went into the creation. Art is fascinating to many, which is why in a very competitive hotel and resort market, some establishments have chosen to adorn their walls with notable and impressive masterpieces. 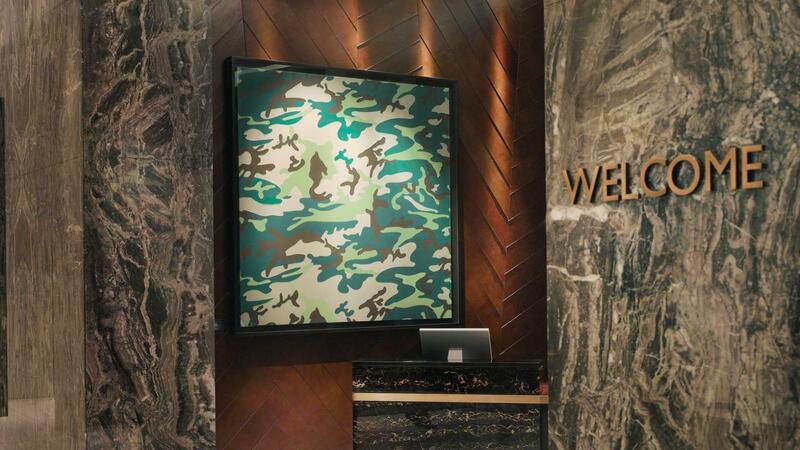 Read about four of our amazing hotels that will stimulate your senses with their artwork. 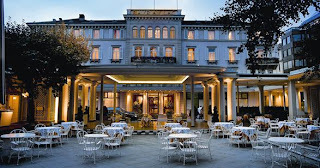 Baur Au Lac in Zurich, Switzerland is known for being one of the world's best hotels. Decked out with luxurious rooms and fantastic views of the Alps and Lake Zurich, this hotel easily lures sophisticated guests. But what makes this a favorite for artists and art aficionado alike is the twice yearly sculpture exhibition that is held outside on the property grounds. In the winter the snowy backdrop is the ideal setting for the breath-taking art, and in the summer the weather promises perfection. The line-up of artists includes greats like Robert Indiana, Louise Nevelson, Sol Lewitt and Joan Miro. This stunning hotel also offers the ability to go on an exclusive tour of the private collection of Buhrle, which includes some of the 20th century's most important artists in French Impressionism and Post-Impressionism. Check with the concierge and discover the on-site and off grounds wonders in Zurich. When planning a trip to Las Vegas, most people are not thinking of which art gallery to peruse or which art exhibition to get tickets to. 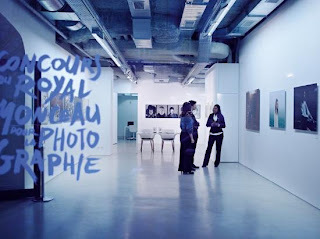 However the very chic Cosmopolitan has created a gallery setting that would wow any art lover. This massive hotel has bright and modern works throughout the entire hotel, including a mural by Kenny Scharf, RETNA, and others as well as a digital art installation by Khorramian. The Cosmopolitan also champions the arts with an artist in residence program and has a partnership with the non-for-profit New York City Art Production Foundation. Also be sure to check out the casino floor where this lush hotel has a vintage Vegas style cigarette machine that dispenses affordable works of art, only in Vegas would something like this be so cool. So if in between dancing, gambling and all you can eat buffets you desire just a bit of culture, head to the Cosmopolitan with its artistic flare and discover just one more reason that this hotel is unforgettable. 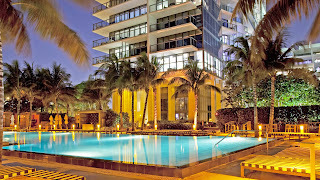 South Beach is another chic location, but with the dramatic history of the area, the influential people that live and vacation here and the glamorous architecture in the city, there is no doubt you can also find galleries all around Miami. The W South Beach entices guests with fashionable restaurants and an elegant poolside scene, but it also blows visitors away with its incredible selection of museum-worthy art. The artwork was carefully selected from the 850 pieces in the private collection of Aby Rosen, a co-owner of this fantastic hotel. Most of the art displayed here are from top modern artists, like Bacon and Warhol and everyone can catch a glimpse of the rather large painting by Jean-Michel Basquiat that is hanging in the lobby. If you are looking for a stylish hotel on the beach in Miami, with loads of inspiring wall decor, look no further than The W South Beach. Paris is a city filled with culture and romance, and the art scene here is priceless. So when you travel to Paris you expect to find great works of art everywhere you look. Well the gorgeous Le Royal Monceau, Raffles Paris does not disappoint. The hotel itself is a work of art, recently being renovated by the great Philippe Starck. In every guest room visitors will find signed photos and handwritten notes on the walls from artists as well as information provided by the hotel's art concierge of exhibitions in the area that she recommends. Public spaces shine with sculptures and commissioned pieces and even the lamp shades at Le Royal Monceau, Raffles Paris are stunning pieces. 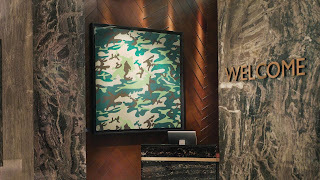 This cozy and oh so swank hotel will leave you breathless and shines bright in the art filled city that surrounds it. Now that you know you can travel to an elegant hotel full of amazing amenities, spectacular spas and mouth-watering restaurants and also view some phenomenal works of art, it would be easy to become spoiled. Sipping tea by a Monet or checking into your room next to a Picasso could become mainstream. Art lovers unite in excitement that finally our hotel walls are adorned with real works of art, not reproductions or flimsy posters. Find class, culture and some priceless works of art on your next WhatAHotel! adventure. When heading out on a beach vacation, there is one treasure you can bring home will cost you nothing, seashells. Children and adults love to walk along the coastline in search of shells, sand dollars and sea glass that has made its way to shore, although some beaches offer more bounty than others. So let's look around at some of the best shelling beaches in the US and maybe you can bring home some priceless souvenirs. There is no doubt that Hawaii has beautiful beaches and some pretty impressive landscape, but it is also a top destination for shelling. The picturesque north shore in Kauai, Hawaii is one of the great locations for yielding some stunning shells. Here Tunnels Beach would be the prime spot showcasing not only shells but a legendary story. It is thought that this is the site that made the puka shell necklace famous in the 1960's. While you're here, be sure to go snorkeling just off the coast and view first hand the beauty of the protected reef in the area. Stay at any of the lovely hotels in Kauai, Lihue or Koloa and enjoy breathtaking accommodations, traditional Hawaiian fare and impeccable service. Eleuthera Island, Bahamas is another fantastic shelling site, known for large piles of shells being left on the beach in the wake of a hurricane. However if the timing isn't ideal for post storm travel, just a quick snorkel off the coast will find you a variety of coral and shells that would please any treasure hunter. 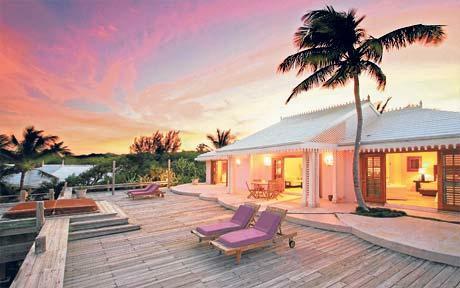 Although this island isn't a tourist hot-spot, not too far away is the stunning Harbour Island where you can find the Pink Sands Resort. 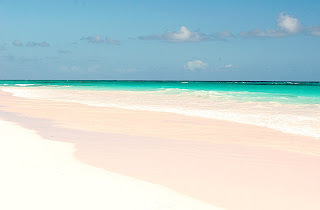 Here you will discover 3 miles of pink sand that will seem surreal, but prove captivating. 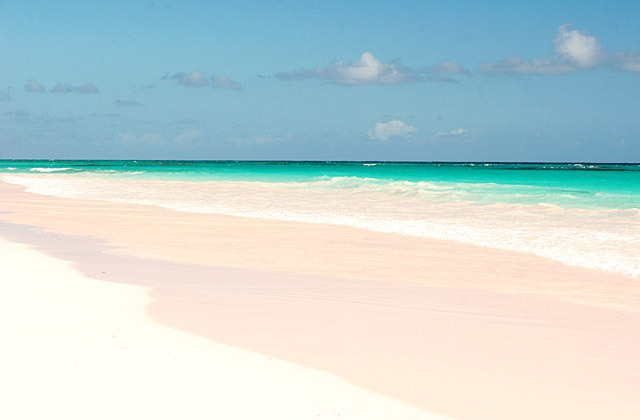 Enjoy pastel colored cottages and cocktails on the sand in the Caribbean paradise of the Bahamas. Though Long Island, New York may not be your first choice when it comes to places to hunt for shells, you will find that not to far from the Big Apple are some absolutely luxurious beaches. New York City is the perfect destination if you are having a tough time deciding between a beach vacation and a big city getaway. Hanging out in the city you will be inundated with elegant and sophisticated hotel selections. WhatAHotel! can find you the perfect place to stay and with a bit of planning you can spend a day or two heading up the coast to enjoy the less crowded beach scene. Between the North and South fork you will find unspoiled bay scallop shells in abundance, as well as many other riches from the ocean. So enjoy the best of both worlds and visit New York City, where one day you can be at a show on Broadway and the next dipping your toes in the sand. The beautiful bay area is a top travel destination for many reasons, wine, sports, culture, architecture, design or just some great sightseeing, however shelling should also be added to the list. 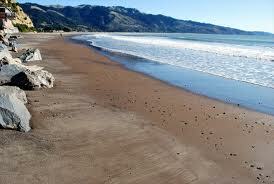 The superb Stinson Beach is near San Francisco and presents guests with sand dollars and seashells. Stay at the nearby Cavallo Point where you can experience style with a mix of history all inside of Golden Gate National Park. 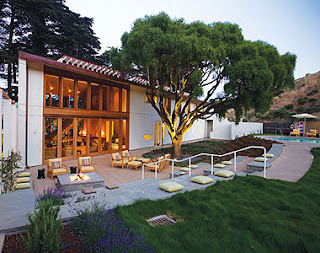 The rugged beauty and amazing seafood restaurants will tempt you to return for an additional day to Stinson Beach, while the amazing accommodations at Cavallo Point will entice you to return year after year. Now that you have read about some of the extraordinary beaches to visit when in search of some of the ocean's riches as well as phenomenal resorts and hotels to stay at while you're there, let WhatAHotel! help you plan your expedition. When booking your travel with us you are assured that your accommodations will be terrific, but you can also receive exclusive complimentary perks and benefits that set us apart from other online travel sites. The ocean loves to leave a bit of beauty in its wake, so get your shovels and pails ready and head to the beach for a bit of a treasure hunt. Dreaming of warm weather, beautiful beaches and some of the best seafood money can buy? Look no further than the friendly state of Florida. It isn't nicknamed 'The Sunshine State' for nothing. Let's take a peek at some of the Best Hotels in Florida and get ready to pack your bags and head out for a fantastic get-away. Miami Beach is a location that beckons to many travelers that are looking for a vibrant travel spot with stunning views and luxury hotels. Because of these characteristics, it isn't a surprise that visitors can easily find many top resorts in this eclectic city. St. Regis Bal Harbour Resort, The Setai and Turnberry Isle Miami are all amazing hotels that will entice guests to check in and stay awhile. 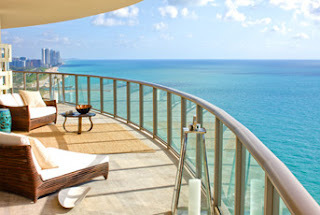 St. Regis Bal Harbour Resort is sitting on the lavish enclave of Bal Harbour, know for it's miles of white sand beaches, over-sized mansions and high-end shopping. Now it also has a ultra chic hotel to brag about. This new hotel promises fashionable decor, a celebrity chef that creates amazing dishes at both the restaurant as well as the poolside grill, and an impressive view of the water from every room. Your time at St. Regis Bal Harbour Resort will make you feel like you've stepped into a very posh dreamworld. The next top Miami hotel is The Setai, known for its modern towering exterior that stands proud above the coast and its tranquil interior that embraces guests with serenity and timeless beauty. Although the city that surrounds The Setai is rowdy and full of life, this hotel remains intimate and serene. With a decadent spa, exceptional options for dining, and gorgeous pools, guests will feel like they have entered a heaven on Earth. In addition to all of this guest find exceptional amenities, a prime beachfront location and friendly top-notch service. 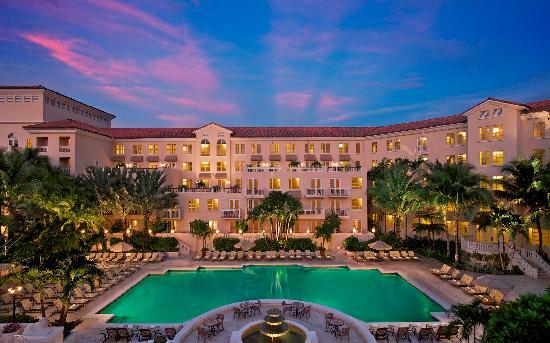 And let's not forget the gorgeous Turnberry Isle Miami, which is situated in a suburb of Miami and gives off a feel of a Mediterranean Villa. The grounds provide guests with 2 golf courses, an award-winning spa, and the 7,500 square foot Laguna Pool. You'll also be able to taste the delicious menus at the two on-site restaurants or sit in the sand while sipping a yummy drink. Turnberry Isle Miami has taken luxury up a notch at this lovely, and family friendly, resort paradise. 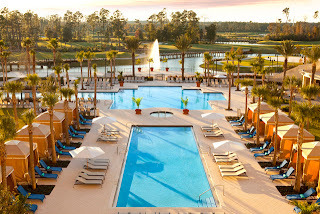 Another fabulous Florida resort town that is loved by the young and the old is Orlando. Known for Disney Theme Park as well as many other family friendly locations, there is a lot to do during your time in this fun-filled city. 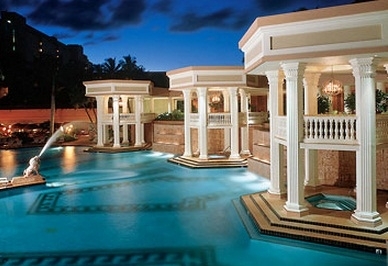 But one resort is sure to make you feel like a VIP, the Waldorf Astoria Orlando. Nestled on 482 acres of Bonnet Creek, this opulent resort offers immaculate accommodations and eloquent amenities. The interior showcases soothing decor with classic charm. Hit the links for the day, choose a custom treatment at the spa, or dine on succulent dishes in the fabulous restaurants and realize what it is like to find perfection. 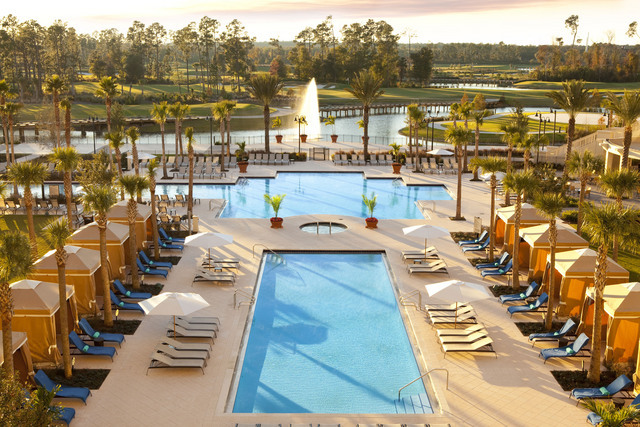 The Waldorf Astoria Orlando wants their guests to discover what an unforgettable excursion looks and feels like. The last two notable sites are not as widely known as the previous areas, but we guarantee one visit will ensure you will never forget them. Little Palm Island on Little Torch Key and the Ritz-Carlton Amelia Island are a bit more isolated, but are overflowing with activity and amenities. 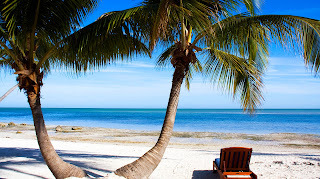 Little Palm Island is located on Little Torch Key and is an ultra exclusive island just off the coast of the Florida Keys. Here no TVs, telephones or small unattended children will interrupt your peaceful respite. Celebrities and savvy tourists are very aware of this perfect tropical paradise, with its impeccable amenities and outstanding service. Amelia Island is our next stop where nature meets splendor. Known for its pristine beaches, abundant wildlife, calm waters and luxury resorts, Amelia Island has one of the highest island rankings in Florida. 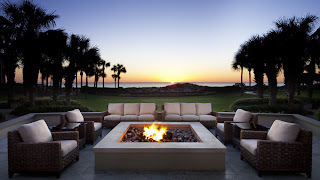 The fabulous Ritz-Carlton Amelia Island shows off with southern charm and breathtaking ocean views. Play some golf, dine at one of the fantastic restaurants or visit the tranquil spa for a rejuvenating treatment, whatever you choose to do, Amelia Island, the Ritz-Carlton will make sure your stay is top-notch. 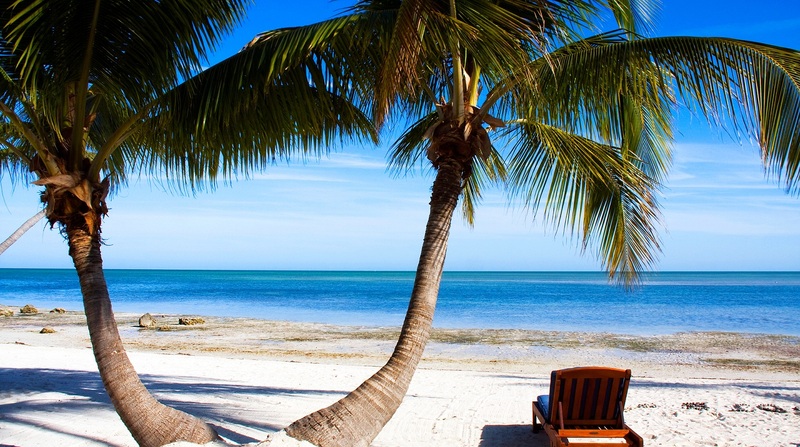 Let these lesser known locales treat you to an incredible vacation in the great state of Florida. Vacations are meant to be relaxing, a time where you worry about nothing more than what's for dinner tonight. Vacations are a time when you take in the beauty of your surroundings and let someone else take care of you. If you are planning a Florida get-away, check out these phenomenal locations that will pamper you with pleasure. WhatAHotel! 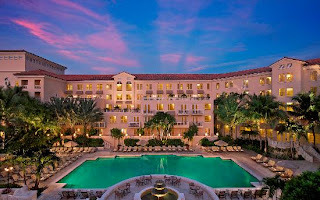 would love to help you book your stay at one of these superb hotels or any of the Best Hotels in Florida, where the perks and benefits abound. "I'm summering in the South of France." Most people would love for that phrase to be coming out of their mouth, however if the chance arises to spend just a week or two there instead of a full summer that would be pretty amazing as well. 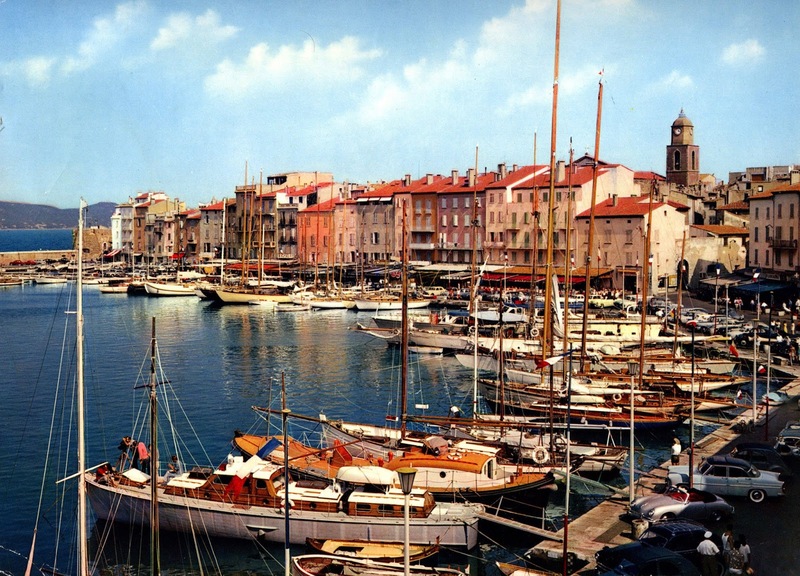 Check out some of the fabulous things to do, dishes to eat and places to stay while your time in the South of France, and maybe your summer will be très bon. 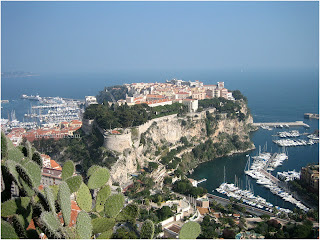 When thinking of a trip to the Mediterranean coast of France, there are always the typical travel hot spots. 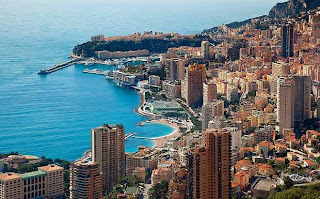 The flashy yet chic casinos in Monte Carlo, the ultra rich and very fashionable St. Tropez and let's not forget the city of Cannes that welcomes Hollywood elite to the captivating yearly Cannes Film Festival, all of these locations are fun and fantastic. But only planning on these few stops will ensure you will miss out on some truly amazing sites. Head to any of the mouth-watering restaurants and enjoy the delicious food of the area. One bite and you will understand why this area has fast become a foodie paradise. 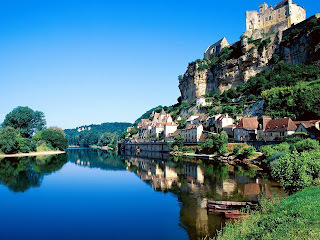 Off the coast you will find festivals, beautiful countryside and lovely riverbanks for picnics. Spending your time on the shores might be amazing, but the inland will prove to be just has entertaining. With the South of France easily accessible, getting there is quite simple. Upon arrival you'll need to find one of the Best Hotels and get ready to feel pampered. 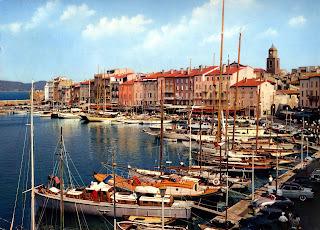 Stay in St. Tropez and find luxury hotels with spectacular views of the bay and impressive amenities. The star-studded city of Cannes shows off its glamour with gorgeous hotels and resorts that promise magnificent service, delicious restaurants, and rejuvenating spas. 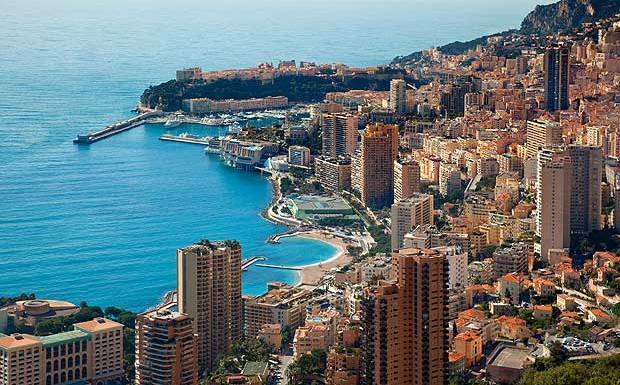 And if you want the heart-pounding excitement of Monaco, head to Monte Carlo where casinos, expensive yachts, Formula One racing and overall enchantment welcome you. 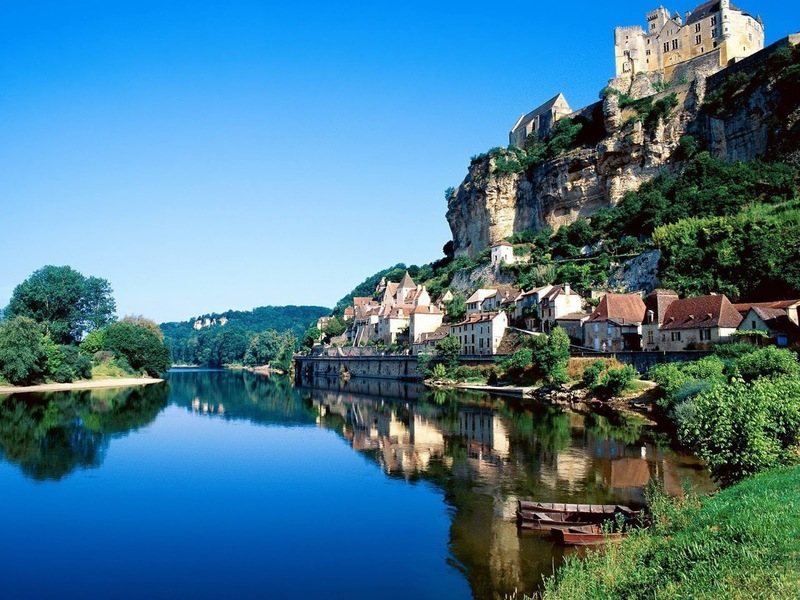 Any of these Best Hotels in the South of France will provide you with the adventure and splendor, so find the perfect resort and get ready to find complete bliss. So maybe your schedule or bank account won't allow for an entire summer in the South of France, but a week can give you the perfect chance to try out all of the sensational attractions that call this part of the world home. WhatAHotel! would love to help you find the perfect resort for you and your travel buddies that will allow you to enjoy the beauty that is coastal France. We will not only offer you assistance at finding a fantastic hotel, we can also give you exclusive and complimentary perks and benefits that set us apart from other online travel sites. Get ready to head south and taste the scrumptious food, delicious wine and warm your skin in the Mediterranean sun, you will surely leave feeling relaxed, refreshed and maybe a bit like a superstar.